Pipers Grove Condos: $10,000 PRICE REDUCTION!Beautifully renovated and immaculately cared-for 1st floor, 2-bedroom lake view condo in Pipers Grove. Prime North Naples location! Close to all local major hot spots and mere minutes driving distance to Vanderbilt Beach. New wooden state-of-the-art kitchen with high-end "soft-closing" cabinets, quartz countertops, and new stainless appliances. Wood-like vinyl floor in the Owner's Suite and handicap-accessible remodeled master bathroom. New 2017 AC system, new water heater. Pipers Grove is in a perfect location - just 5 minutes to the beach; grocery and shopping are right outside the complex. You are 20 minutes to the airport and 15 minutes to downtown Naples. This friendly community offers amenities such as a Clubhouse, 1 major community pool, two smaller satellite pools, whirlpool spa, fishing pier, sun tanning deck, picnic area, walking paths, bike paths, tennis courts, bocce ball, and shuffleboard. Don't hesitate - come and live in this wonderful peaceful paradise. No Assessment. Roofs were replaced recently. Pipers Grove Condos: Great LOCATION, Pipers Grove-N Naples. FABULOUS UPDATES. 2nd floor END UNIT 1,760sq ft. 2+bedroom, 2 bath and ATTACHED 1 CAR GARAGE. This unit is overlooking TRANQUIL WATERVIEWS and is within a short walking distance to a satelite pool. This great OPEN floor plan has a completely updated kitchen with exceptional cabinet and pantry space,QUARTZ countertops and backsplash, stainless appliances and raised breakfast bar. Both bathrooms have been updated with new tile showers, quartz countertops and new cabinetry. Brand new hot water heater and AC is 2012. Enjoy your evening cocktail while viewing SUNSET SKIES from your lanai!! Pipers Grove has a fishing pier, walking trails, 3 pools, tennis, bocce...the list goes on. Located within walking distance to shopping and dining. Don't miss this amazing opportunity.....all the work has been done...all that's required is your toothbrush! Pipers Grove Condos: Welcome home to this second floor end unit in the highly sought after Pipers Grove Community. Location is key with this community as you are in the heart of North Naples with Publix and local restaurants just walking distance from your door. Mercato and Vanderbilt Beach are less than a 5 minute Drive and close enough for a bike ride! This unit has many new upgrades including brand new granite in both bathrooms, new shower doors, new rugs and paint. Offered with all brand new Furnishings. The Quiet community offers multiple swimming pools, tennis courts , bocce ball court, and a fishing pier into the lake! Look through your beautiful plantation shutters at your lake view. Pipers Grove Condos: Updated Piper's Grove 2 bed/2 bath first floor condo with preferred southern exposure overlooking a serene lake with multiple water features. Tastefully, TURNKEY furnished unit features raised panel kitchen cabinets and granite counter tops, newer stainless appliances, tile and carpet, elegant bathroom cabinetry, and a reserved covered carport just steps away from your front door. Master bedroom includes Hilton Hotel bed. Building 2420 is the first building inside the main front gate, providing easy access in and out of the community with walking distance to the adjacent Publix grocery plaza, as well as one of the three heated community pools. The main Clubhouse offers a resort style pool, Har-true tennis and bocce courts, fitness center, and fishing pier. Recent roof replacement after Irma. Live the Naples lifestyle in the conveniently located gated community, desirable location with easy access to RSW airport, minutes to the beach, shopping and local churches and banks, as well as the ultra-popular Mercato with restaurants all near by. Pipers Grove Condos: C.15720 - Highly desired & LOWEST PRICED 2nd Floor END UNIT 2 bedroom plus Den, 2 bath condo with relaxing lake and fountain VIEWS! NEW ROOF Dec. 2018! Notable features include stainless appliances, updated flooring, soaring high ceilings, assigned covered parking, and laundry in residence. Pipers Grove is located in super popular and convenient North Naples, with shopping and dining right outside the gate. Walk to Publix! Vanderbilt Beach is just a three mile drive down the road, and the Public Library and North Collier Government Center are even closer on Orange Blossom Drive. Enjoy this gated, active and friendly community with lots of amenities including three swimming pools, plus a lap pool and whirlpool spa, clubhouse, har-tru tennis courts, bocce and over two miles of walking trails. Full renovation to the main pool completed with no assessment to the homeowners. New picture frame screen cage with beautiful lake views. MUST SEE! Pipers Grove Condos: LONG LAKE VIEW, UPDATED MASTER BATHROOM, GRANITE COUNTERTOP IN THE KITCHEN. This charming 2 bedroom, 2 bathroom WELL CARED for FIRST floor condo in the GATED community of Pipers Grove is perfectly located walking distance to the FANTASTIC clubhouse. The condo has full storm protection on all windows and doors, the grout/tile and carpets were just professionally cleaned and more. Seller will pay the cost of a 1 year HOME WARRANTY. Pipers Grove offers the Naples lifestyle you deserve including: over 2 miles of walking and jogging paths, 2 satellite pools, a clubhouse with a 70 foot lap pool and spa, a sundeck, bocce ball, har tru tennis courts, and a fishing pier. Perfectly located in Naples only a short 7 - 12 minute drive to the sugary white sand on Vanderbilt Beach or the FAMOUS shopping and restaurants at the Mercato. (be sure to click the VIRTUAL TOUR link, click the 3D Virtual Tour and watch both videos). Pipers Grove Condos: C.15749 - Amazing location and views from this bright and light 2nd floor two bedroom two bathroom condo located in the desirable North Naples community of Pipers Grove. This spacious unit offers volume ceilings, a master suite with in suite bath, a gracious sized guest bedroom along with in unit laundry, two areas for dining and one of the best lake and fountain view from your back lanai. The owner has also recently replaced the air conditioning unit and hot water heater. Another bonus to this building is that the roofs have been replaced 2 years ago. Pipers Grove offers many amenities including bocce, tennis courts, club house and fishing pier. This unit is also being sold with a 1 year home warranty for the new buyer at closing. Pipers Grove Condos: FANTASTIC PRICE $215,000 in North Naples location! Just ten minutes to the beach! Second floor condominium that features 2 bedrooms and 2 baths with peaceful lake views. New carpet just installed. This active community features excellent amenities such as fishing pier, bocce court, tennis, exercise room and great pool and spa. Close to world-class dining and shopping. Won’t last long! Pipers Grove Condos: PRICE REDUCTION! TURNKEY! Rarely available! Visit this lovely ground floor condo in beautiful Pipers Grove! More affordable than other communities in this area! The property has never been rented, and the original owners have taken meticulous care. Upgraded and fresh throughout. New roof, new AC with warranties, recent appliances, new roof, new water heater, and new cabinets throughout. The screened lanai is attractively tiled and has its own extra glass sliding doors, to keep you air conditioned in the hot days. Residents love living here because of the location to the best shops, restaurants, entertainment and Vanderbilt Beach. The active social life keeps this friendly community entertained with excursions, parties, and BBQs. Welcome to North Naples! Pipers Grove Condos: This meticulously clean and bright ground floor condo in highly desirable North Naples will capture your attention. The original owner has lovingly maintained it, and never rented. Home Warranty is included in sale. The tile roof is new. The lanai has automatic hurricane shutters. Pristine and comfortable, the upgraded kitchen features new cabinets and quartz counter tops. Windows are all impact resistant, and easy to clean. Recent carpet and tile, and an upgraded master shower offer new owners a tropical retreat in the heart of North Naples. 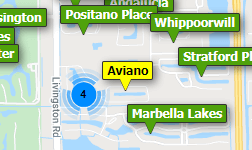 It is close to the finest shops of Mercado, Waterside, the Artis Naples, and Vanderbilt Beach. Offered partially furnished. Pipers Grove Condos: REDUCED for quick sale!!!! SELLER IS HIGHLY MOTIVATED - make offer!!!! What a view - Lake and Sunset view!!! New carpet - Move-in Ready!!!! Updated second floor unit with entry on first floor for additional privacy, along with coat and storage closet. The unit has been freshly painted, features travertine tile in kitchen, bathrooms and foyer. The kitchen boasts of stainless steel appliances, breakfast nook, breakfast bar and pantry. Both washer and dryer are in the unit and convey. The guest bathroom has an updated granite sink counter- top, along with storage underneath. The master bathroom boasts of two separate sinks with granite counter-top, with storage and an updated walk-in shower. Huge slider opens to the screened in lanai, which features electric shutters and tile flooring. Ceiling fans and light fixtures have been updated. Piper's Grove now allows hard surface flooring on 2nd floor units!!! Pipers Grove Condos: NEWS FLASH - PIPER'S GROVE NOW ALLOWS HARD SURFACE FLOORING ON ALL 2ND FLOOR UNITS !!! THIS IS A MUST SEE!!!! DESIRABLE NORTH NAPLES LOCATION -ON THE CORNER OF VANDERBILT BEACH RD AND AIRPORT PULLING. Sparkling Clean 2/2 with one of the Best Long Lake & Sunset Views. Bright and Spacious and move in ready and freshly painted throughout. The Kitchen has Stainless Appliances and Granite - and Both Baths have raised counters with granite, as well. Soaring ceilings in the Great Room & French Doors in the Guest Bedroom/Den provide spaciousness to an otherwise closed-in look. New Roofing was installed in the entire community during the last two years and, as an added bonus, there is an Electric Storm Shutter on the Lanai . In addition to the normal maintenance, Piper's has also included Water, Cable and Wi-Fi. All that you pay extra is your Electric and inside insurance. All these inclusions adds up to a really good value! 3 Swimming Pools -one w/ Lap Area and Spa, Walking and Bike trails, Tennis, Bocce, Fishing Pier, luncheons, dinners, entertainment etc. are all here in this Active and Friendly Community ! Need professional assistance selling your property at Pipers Grove Naples? Find out how an Area Specialist can help to generate more property exposure in order to get the most money for your investment in the least amount of time.